Pyramid schemes are unsustainable businesses that require you to recruit other members to recover your joining fee. Learn how to spot them – and avoid them. 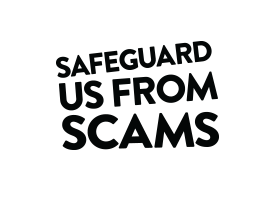 We’re urging the government to ensure companies safeguard us all from scams. Pyramid schemes require you to join for a fee – and the only way to get back your money is to persuade other people to join and take their fees. Scheme members are asked to sell goods or services through other members rather than direct to clients. People at the top of the pyramid make money from the fees of people lower down, rather than selling a legitimate product. The business model is unsustainable, and those at the bottom of the pyramid lose their fees with no prospect of recovering the money. If something looks too good to be true it may be a scam. If you suspect something is a scam avoid it and report to to the appropriate authorities. Fraud is now at record levels, with more than five million scams costing Brits a mind-boggling £9bn each year. We’re urging the government to take the lead and ensure companies safeguard us all from scams.